The country celebrates Teacher's Day today. Teacher's Day is celebrated in memory of Dr. Sarvepalli Radhakrishnan whose birthday falls on September 5. The country celebrates Teacher's Day today. Teacher's Day is celebrated in memory of Dr. Sarvepalli Radhakrishnan whose birthday falls on September 5. 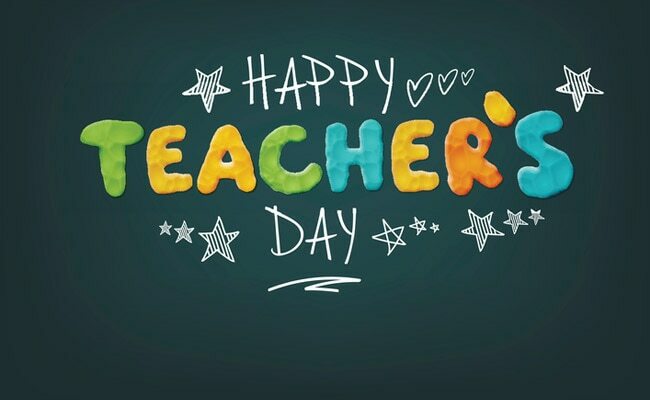 Events, award ceremonies and various cultural programs are organized on this occasion to celebrate the contribution teachers make toward the society. Today the Vice-President of India would be conferring National Awards to Teachers for the year 2017. The event is being organized at Vigyan Bhawan, New Delhi. This year the guidelines for the National Awards for Teachers were revised which brought down the number of awardee teachers to 45. The teachers who are selected for this award are ones who have shown innovation in the field of school education. On the occasion of Teacher's Day, a Mushaira is also being organized at the Zakir Hussain College, Delhi. The event will also see discussion on the role of teaching and education. On the occasion, Twitter India has also unveiled emoji hashtags specially for Teacher's Day. While three out of four hashtags celebrates teachers day, one is for schools. Google, carrying forward its tradition, has also honored teachers in India with a special doodle. The doodle is that of a spinning globe with spectacles which is surrounded by different symbols representing different fields and thus honoring teachers from all walks of life. Apart from the cultural programs, students across the country have also taken to social media to thank their teachers.